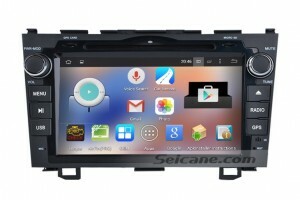 It’s an advanced Seicane Honda CR-V car stereo for cars from 2006 to 2011. It’s upgraded to Android 4.4.4 operating system and a strong RK3188 1.6 GHz Cortex A9 Quad-core CPU, which can greatly improve the operation and enhance the performance. 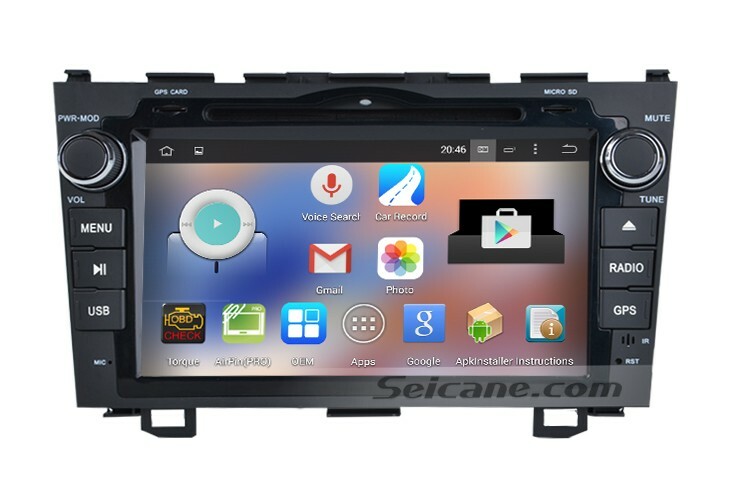 You can enjoy all these features it provide for you, including GPS navigation, DVD player, Bluetooth hands-free calls, Bluetooth music, FM/AM radio, RDS, USB, SD, etc. Take a multifunctional car stereo in your car, you can enjoy a lot of convenience and enjoyment it brings to you. You can easily get to a lot of desired destination with the help of the lane assist, landmark display, 3D street view, intelligent route planning, turn-by-turn direction and voice prompts provided by the GPS navigation system. Due to dual-zone function, you can enjoy your favorite songs while you are navigating to your desired destination. You can also freely surf the internet. What’s more, you can play iPod songs with it. If it’s the first time for you to use the aftermarket car stereo, you may have some questions on how to use it. Here I’d like to share how to connect WIFI and iPod with you. To connect with WIFI, you need to be in the range of a WIFI hotspot. Then you turn on the Honda CR-V car stereo and go to the setting interface, find the logo of network or WIFI, click it. Some signals come out at this time, choose the available one and enter the password. Then you can connect with WIFI network. After that, you can go back to the main menu and click the IE browser, and you can freely surf the internet now. You are able to search for the data you need, read online news, play online games, watch online video, listen to online music, check online e-mails, etc. You can also download upgraded versions of software and install them directly in your stereo. About the iPod connection, it’s quite easier. This stereo comes with iPod cable for iPod connection. You just need to connect your iPod/iPhone with the iPod cable. After that, you can see the playlist of your iPod on the big screen, then you are able to listen to your favorite songs to relax when you are on all trips. This Honda CR-V car stereo comes with advanced Bluetooth technology. By pairing your Bluetooth-enabled mobile phone with this stereo, you can listen to your favorite music of the playlist stored in your phone as well as make and receive calls without taking your hands off the steering wheel control. With a lot of multimedia formats to be supported, like DVD/VCD/CD/MP3/MPEG4/DIVX/CD-R/WMA/JPEG, you are able to play any compatible disk to entertain both yourself and your passengers all the way. Just relax with this amazing Honda CR-V car stereo and enjoy all your trips from now on!